Ray G. Martin unexpectedly passed away on March 19, 2016, in Houston, Texas. Ray was an outstanding geoscientist, loving husband, father, and grandfather, and good friend to all who knew and worked with him. He was born to Gladys Ann Sharp Martin and Ray G. Martin in Nashville, Tennessee on April 20, 1941, and is survived by his wife of 41 years, Ann, a daughter Katie, a son Travis and four delightful granddaughters, Alisa, Jenna, Cosette, and Marley. Ray was a consultant, geological/geophysical interpreter, at TGS-NOPEC Geophysical Company most recently; you may have seen his interpretations on their spectacular double-page advertisements in the AAPG Explorer. He began his career with the U. S. Geological Survey where he published benchmark papers summarizing the results of 20 years of geophysical studies in the Gulf of Mexico—you may have seen his "Distribution of salt structures in the Gulf of Mexico map and descriptive text (Miscellaneous Field Studies Map 1213)," which was the most requested USGS map for years. Upon leaving the USGS, Ray worked for Gulf Oil, Elf Aquitaine Petroleum, Pennzoil, and then TotalFinaElf/Elf Exploration, before starting Martin Geoscience, Inc. and consulting for TGS. Ray was an avid coin collector and an aviation history buff. He loved attending air shows and visiting air museums. 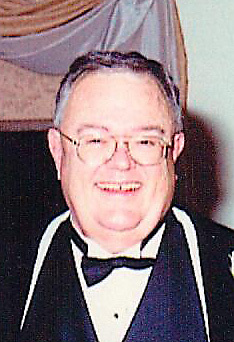 He was a Texas Certified Petroleum Geologist and member of AAPG, GSA, Gulf Coast Section SEPM and the HGS (you probably noticed him at many dinner meetings). Ray will be remembered for his sharp wit, kind nature, and his many contributions to Gulf of Mexico, Caribbean, and South Atlantic margin geology. We will miss having lunchtime debates with him; may he rest in peace.